Learn about the clinical benefits of tilt in space as seen on the Quickie Iris and Quickie Zippie. 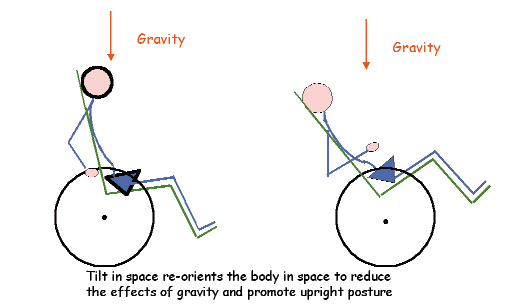 Tilting clients when they fatigue helps maintain them in an upright position and facilitates thoracic extension and a neutral pelvis. Could be caused by an overfull bladder (kinked catheter), an impacted bowel, a constriction of blood flow, a change in position, etc. 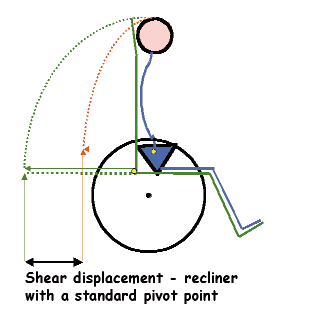 This is because the client’s pivot point (hip joint) does not exactly match the pivot point of the chair (seat to back junction). alignment with the chair’s center of rotation. 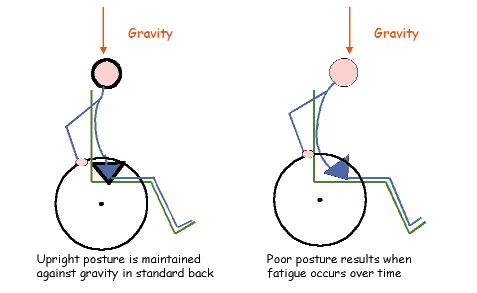 This alignment is maintained throughout the tilt and return-to-upright cycle.